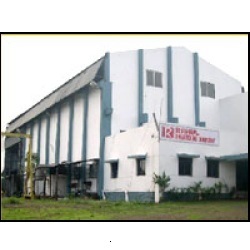 Incepted in the year 2005, we Rahul Engineering Company are one amongst the most recognized and sought after manufacturers and exporters of industrial process equipment and storage plants. In our range, we offer Resin Storage Tanks, Transformer Oil Storage Tanks, Vacuum Chambers, Pressure Vessels, Brewery Equipments, Chemical Plant Reactors, Heat Exchangers and Air Receivers. Our entire range undergoes extensive testing such as hydro, pneumatic and dye penetrate test to ensure that these stands on high quality in the global platform. Apart from this, we also offer air receivers, heating & cooling coils and metal fabrication services. Owing to our stringent quality measures, we are confident that our range is at par with the international standards and are capable of meeting demands of our clients. Designed to perfection, our range of industrial process equipment and storage plants has received an overwhelming response from clients based across the globe. Some of the well-known companies who have been associated with us include Alfa Laval India Limited, Pune, Batliboi Environmental Engineering Limited, Bombay, Consarc Engineering Limited, UK and Praj Industries Limited, Pune. Under the able guidance of our mentor Mr.Rahul Chandrakant Chhajed, we have come a long way since our beginning and are still progressing with full vigor to surpass all heights in the industry. He holds a MS degree in Industrial Welding and System Engineering from the Ohio State University of USA. Further, maintaining consistency in our quality standards, meeting consignment deadlines and following ethical business practices have helped us to etch a reputable position in the highly competitive industry. We are assisted by a team of accomplished workforce who are constantly engaged in designing and developing quality range of industrial process equipment and storage plants that are in accordance with the client's requirement. Our team plays a crucial role in the complete production process right from conceptualization until the final production. We have formed a squad, which has complete knowledge about the various procedures involved in the production process. They have profound knowledge of the industry and helps in developing superior quality, range of industrial process equipment and storage plants. Further, our sales and marketing team comprises of experienced professionals, responsible for the smooth flow of communication between our production team and clients. From the last 4 years, we have been serving our clients by our range of industrial process equipment and storage plants. Available in customized specifications, these meet the demands of plastic, textile, petrochemical, steel industry and laboratories. Our ability to construct these in bulk amount coupled with timely shipment of finished products has enabled us to establish cordial relations with our clients based not only in India but also in UK.